I picked this for you…don't eat it. 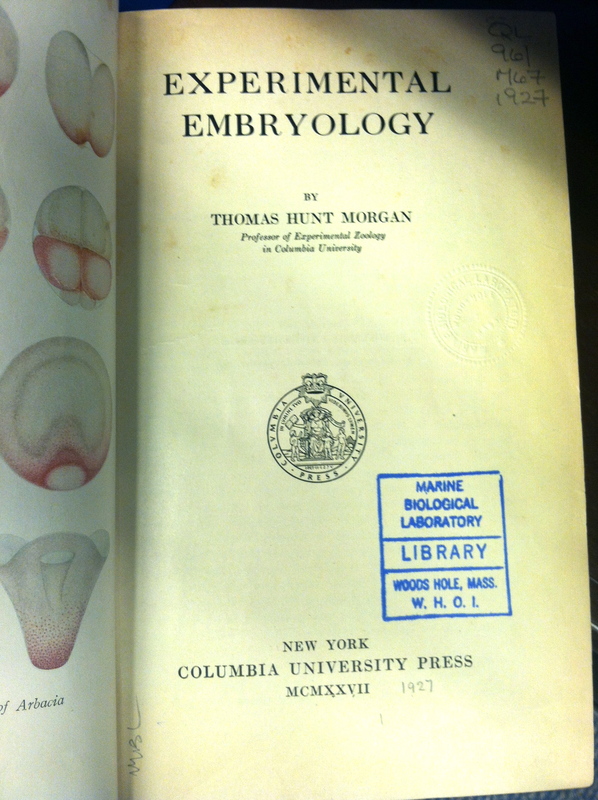 Thomas Hunt Morgan’s “Experimental Embryology,” a developmental biology classic. 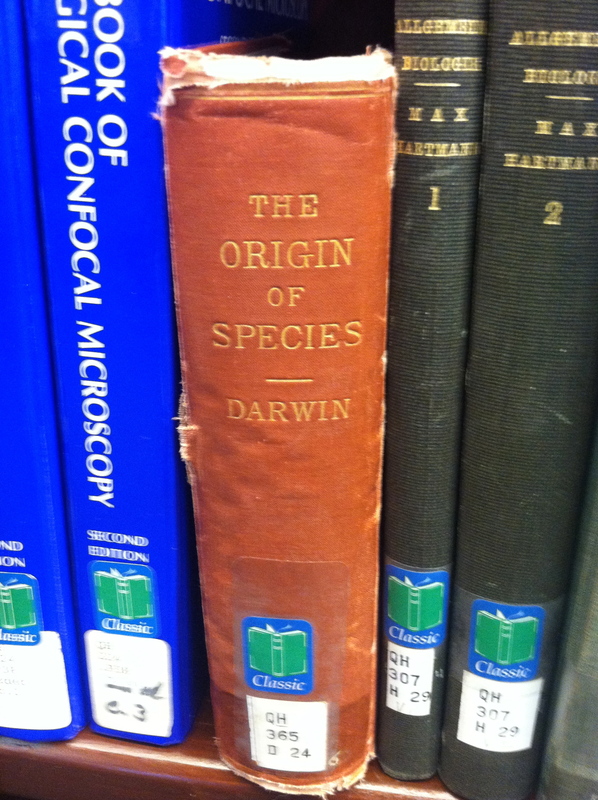 Original 1927 edition. Morgan’s descriptions of Vogt’s experiments on urodele embryos, which used vital dye labels to track the movements of cells. They showed the mechanics of gastrulation (Embryology class motto: “gastrulate or die!”) and convergent extension (loosely packed round groups of cells nudge between each other to become a long skinny group of cells, stretching the embryo out). 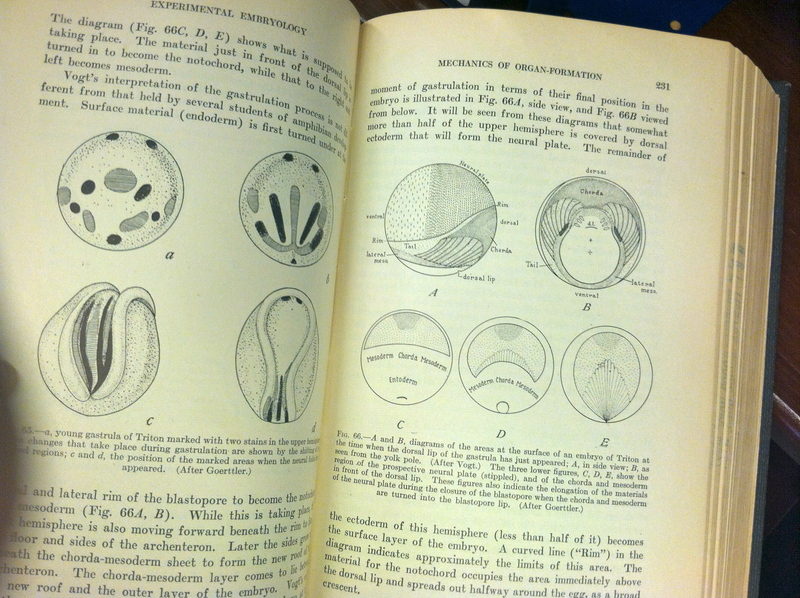 These experiments also showed which parts of the early, ball-of-cells embryo (blastula) contributed to which parts of the later differentiated tadpole: “fate-mapping,” shown at right. But I ran out of time before I could determine if any of this blog’s patron saint’s work was there. Sorry, Gregor! And while I didn’t get to browse the botanical illustrations like I had hoped, botany was still very much in evidence my last few days in Woods Hole, manifested in the extremely potent honeysuckle perfume everywhere. A favorite childhood edible. 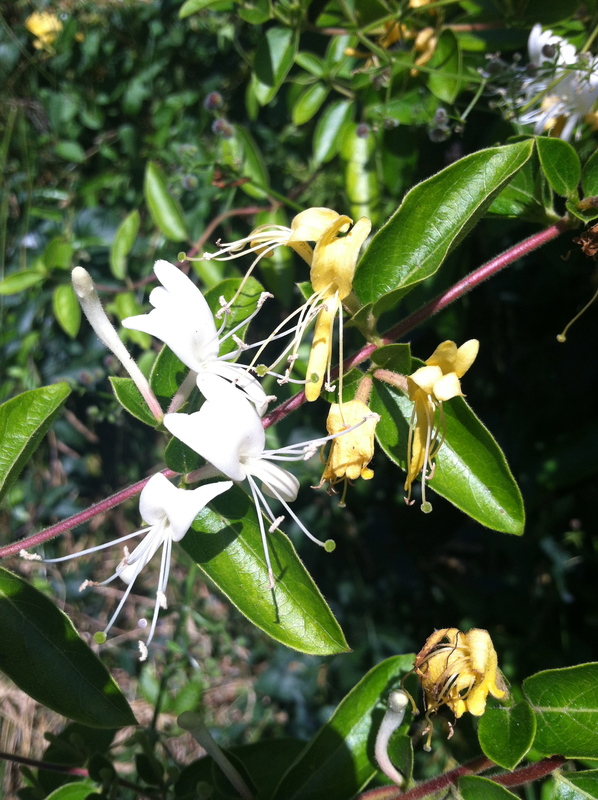 The honeysuckle (Lonicera japonica) was so thick you could smell it along the whole length of the bike path. I sampled a few of the flower bases for their nectar, of course. Oleander: backyard killer has a softer side?